A display of Israeli-style community policing before an audience of hundreds of young schoolchildren was captured on video last week. Were the 10-year-olds offered road safety tips, advice on what to do if they got lost, or how to report someone suspicion hanging around the school? No. In Israel, they do things differently. The video shows four officers staging a mock anti-terror operation in a park close to Tel Aviv. The team roar in on motorbikes, firing their rifles at the “terrorist”. As he lies badly wounded, the officers empty their magazines into him from close range. In Israel it is known as “confirming the kill”. Everywhere else it is called an extrajudicial execution or murder. The children can be heard clapping. It was an uncomfortable reminder of a near-identical execution captured on film last year. A young army medic, Elor Azaria, is seen shooting a bullet into the head of an incapacitated Palestinian in Hebron. A military court sentenced him to 18 months for manslaughter in February. There has been little sign of soul-searching since. Most Israelis, including government officials, call Azaria a hero. In the recent religious festival of Purim, dressing up as Azaria was a favourite among children. There is plenty of evidence that Israel’s security services are still regularly executing real Palestinians. The Israeli human rights group B’Tselem denounced the killing last week of a 16-year-old Jerusalem schoolgirl, Fatima Hjeiji, in a hail of bullets. She had frozen to the spot after pulling out a knife some distance from a police checkpoint. She posed no threat, concluded B’Tselem, and did not need to be killed. The police were unrepentant about their staged execution, calling it “a positive, empowering” demonstration for the youngsters. The event was hardly exceptional. In communities across Israel this month, the army celebrated Israel’s Independence Day by bringing along its usual “attractions” – tanks, guns and grenades – for children to play with, while families watched army dogs sicking yet more “terrorists”. In a West Bank settlement, meanwhile, the army painted youngsters’ arms and legs with shrapnel wounds. Blood-like liquid dripped convincingly from dummies with amputated limbs. The army said the event was a standard one that “many families enjoyed”. The purpose of exposing children at an impressionable age to so much gore and killing is not hard to divine. It creates traumatised children, distrustful and fearful of anyone outside their tribe. That way they become more pliant soldiers, trigger-happy as they rule over Palestinians in the occupied territories. A few educators have started to sense they are complicit in this emotional and mental abuse. Last year Zeev Degani, principal of one Israel’s most prestigious schools, caused a furore when he announced his school would no longer send pupils on annual trips to Auschwitz. This is a rite of passage for Israeli pupils. He called the misuse of the Holocaust “pathological” and intended to “generate fear and hatred” to inculcate extreme nationalism. 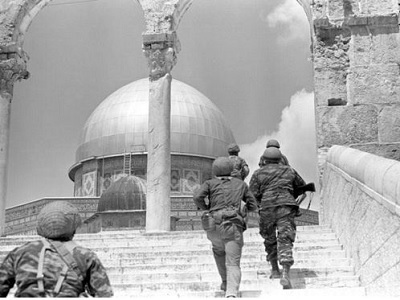 It is not by accident that these trips – imparting the message that a strong army is vital to Israel’s survival – take place just before teenagers begin a three-year military draft. Increasingly, they receive no alternative messages in school. Degani was among the few principals who had been inviting Breaking the Silence, a group of whistle-blowing soldiers, to discuss their part in committing war crimes. In response, the education minister, Naftali Bennett, leader of the settlers’ party, has barred dissident groups like Breaking the Silence. He has also banned books and theatre trips that might encourage greater empathy with those outside the tribe. Polls show this is paying off. Schoolchildren are even more ultra-nationalist than their parents. More than four-fifths think there is no hope of peace with the Palestinians. But these cultivated attitudes don’t just sabotage peacemaking. They also damage any chance of Israeli Jews living peacefully with the large minority of Palestinian citizens in their midst. Half of Jewish schoolchildren believe these Palestinians, one in five of the population, should not be allowed to vote in elections. 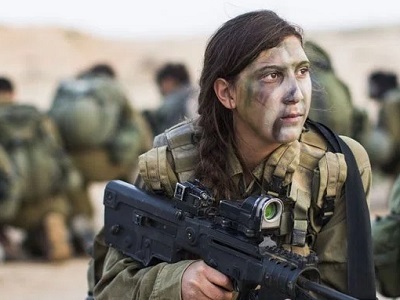 This month the defence minister, Avigdor Lieberman, called the minority’s representatives in parliament “Nazis” and suggested they should share a similar fate. This extreme chauvinism was translated last week into legislation that defines Israel as the nation-state of the Jewish people around the world, not its citizens. 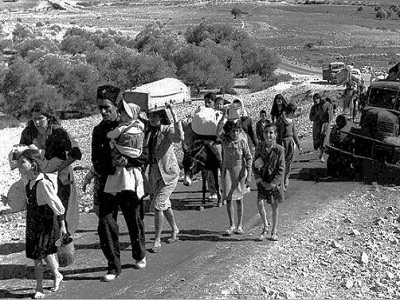 The Palestinian minority are effectively turned into little more than resident aliens in their own homeland.